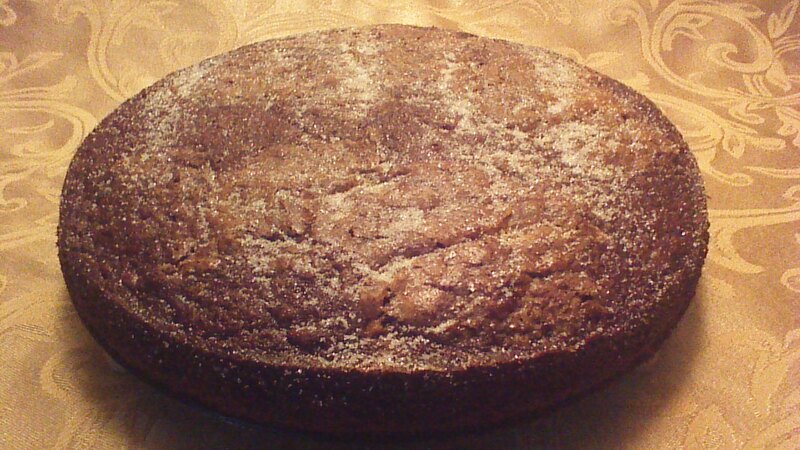 This recipe is a variation on the chocolate date chip cake that my Great Grandmother Helen used to make. It’s a chocolate cake so delicious, it doesn’t need frosting… seriously. The dates simply “disappear” in the cake, adding sweetness and preventing the cake from drying out, but otherwise are a secret ingredient. The Hershey’s Kisses sink down into the center of the cake, providing surprise bites of chocolate in each slice. I recommend Chocolate Kiss Date Cake as a fun variation on classic chocolate cake for dessert, and also as a decadent coffee cake for Sunday brunch. Enjoy! Step 1) In a small bowl, combine dates and baking soda. Pour boiling water over the top and allow to sit until cool. The dates will mostly dissolve – this is normal. Step 2) In a separate bowl, cream together butter and 1 cup of sugar. Add eggs and vanilla; mix well. Step 3) Combine flour, cocoa, and salt. 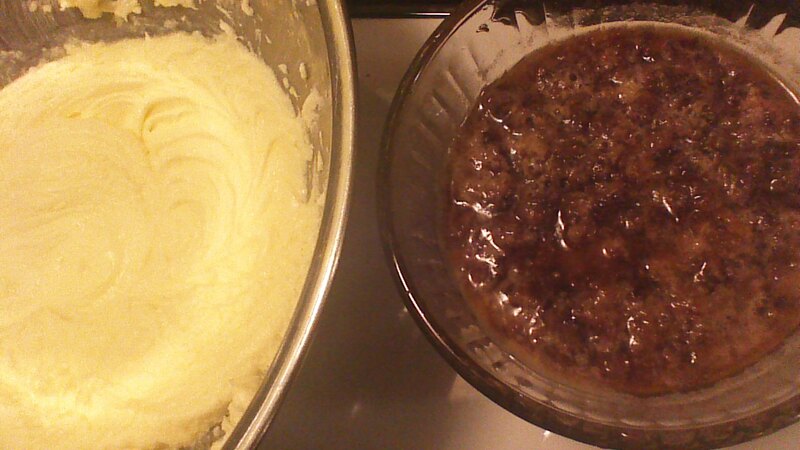 Add dry ingredients and date mixture, alternating a little at a time, to the butter mixture. Stir until well combined. Step 4) Grease a 10 inch round Springform pan (a cheesecake pan), or a 9 inch square baking pan. Dust the greased pan lightly with flour. Transfer batter to the greased and floured pan. Step 5) Arrange the Hershey’s Kisses evenly on the top of the cake. Don’t press down; just set them lightly on top. 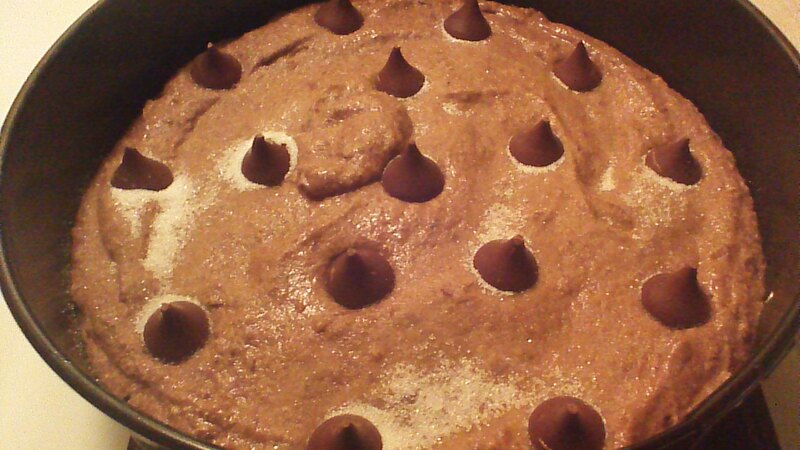 [As the cake bakes, the Hershey’s Kisses will sink into the middle of the cake.] Sprinkle the top of the cake with 1 tablespoon of sugar. Step 6) Bake your Chocolate Kiss Date Cake in a preheated 350 degree oven for 55 – 60 minutes, or until a toothpick inserted near the center comes out clean. Step 7) Sprinkle the baked cake with the remaining 1 tablespoon of sugar. Allow to cool completely before slicing and serving. This entry was posted in baking, chocolate and tagged baking, Cake, children, Chocolate, Cooking, desserts, dinner, Family, Food, frugal, Homesteading, Recipes, Vegetarian. Bookmark the permalink. Awesome idea. What a good revamp on a cake to bring it into a modern dessert. I like that it makes a 9 x 9 cake instead of a big ol 9 x 13. Perfect. Grandma would give it a nod of approval. I happen to have some dates on hand. We might have to make this today!!! A rainy day in California sounds like a good day to bake! My 16 year old daughter did the baking. It’s in the oven this minute! We’ll try some after dinner. The cake was incredible!!!! Thanks so much for sharing the recipe! We had it with fresh strawberries and vanilla ice cream. This is a new family favorite!!! 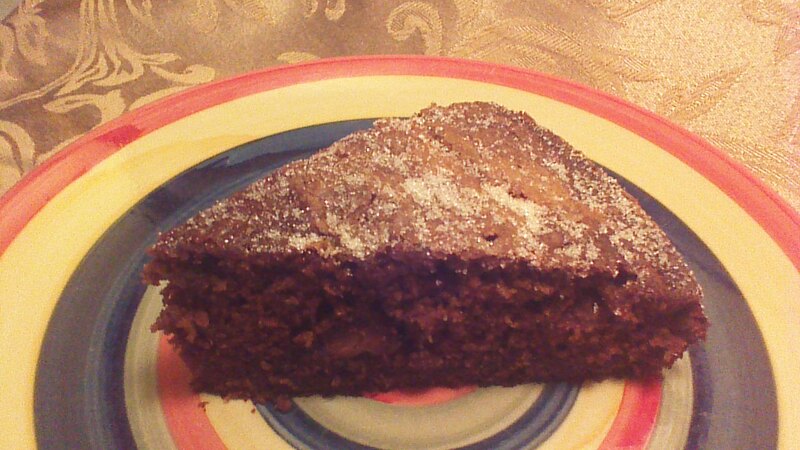 The reason I have dates on hand is they were leftover from baking Date Bars a while back. If you would like to check out the recipe it is at: https://insidekelskitchen.wordpress.com/2015/12/23/date-bars-our-familys-favorite-holiday-baked-treat/. They are soooo good! I think I might need to make this for my next book club gathering. This cake was delish and can be breakfast on it’s own!